King Edward VII of England dubbed Cartier ‘the jeweler of kings and the king of jewelers’. Needless to say, the brand name is synonymous to royalty and luxury. From the Queen of England to the queens of the films industry, their clientele speaks for itself. Cartier’s forte lies in the perfect balance of heritage and innovation. The French jewellery house has always pushed the boundaries to ensure that their incredible legacy continues to thrive with buyers, both old and new. Thus, while it was incredibly difficult to lay your hands on a Cartier timepiece back in the day, the rapid globalization has brought it right to our doorstep. If you want yourself to be confounded by one of their timepieces, then you would be delighted to know that great collections of Cartier watches are now available in India at the Ethos Watch Boutiques. “Timeless” is a word that perfectly describes a Cartier watch, with the oldest model dating back to over a 100 years. Such is the heritage associated with Cartier that their watches have always been a choice of luxury and indulgence, thus being a status symbol that can be revered for centuries to come. highlighting its clean curves. Then, there’s the patent Cartier arch covering the crown serving to dramatically contrast beauty and functionality. 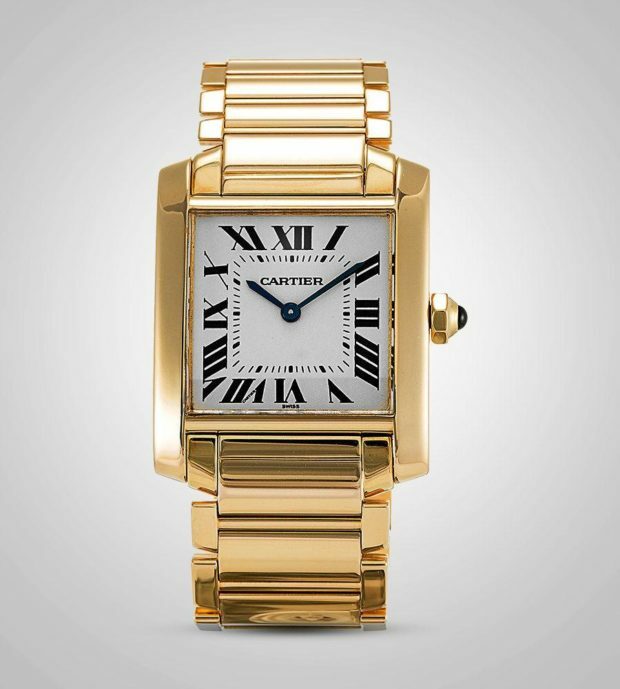 Cartier watches are known to be meticulous, as you would notice with the 18 K gold crown. The Ballon Blue has a blue sapphire nestled in it, thus imparting a royal and iconic look to the timepiece. Perhaps unsurprisingly, Kate Middleton, the Duchess of Cambridge, has been seen donning the Cartier Ballon Bleu many times. That the likes of Lady Diana, Andy Warhol, and Jackie Kennedy have had the Tank Francaise adorn their wrists is a testament to its ethereal appeal. 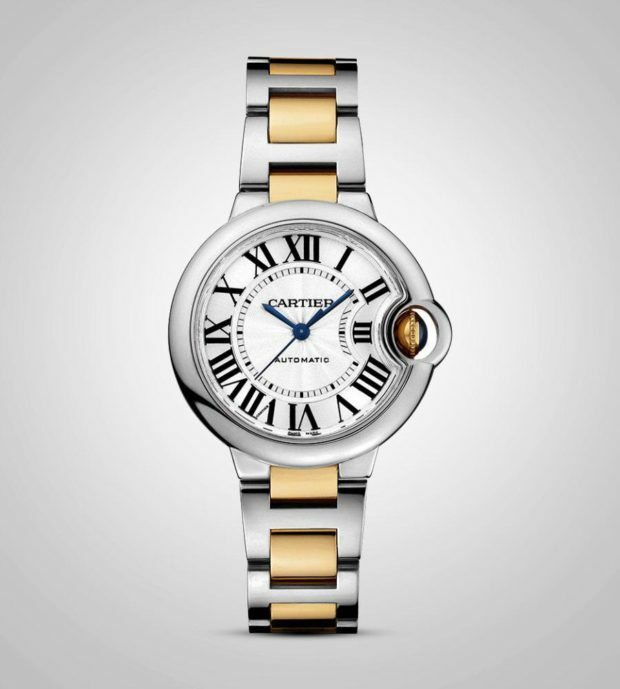 If there ever was an evergreen watch from the house of Cartier, then it is definitely this one. Introduced during the World War I and having been recently re-launched as well, the Tank Francaise combines a memorable design with cutting edge technology. An amalgam of steel, gold, leather, varied colours and sizes, the Tank collection has something new to offer to everyone. The timepiece’s crown is marked by the petite case, and the dial is classic Cartier: a combination of blued-steel hour and minute hands caressing the silver dial and brushing past the Roman numerals to indicate the hour index. The unmistakable highlight of the watch, though, is the 18 K gold bracelet, whose design resembles tracks of a tank, which were actually the inspiration behind the legendary watch. This watch is the perfect pick for women of all ages, and can be pleasantly mistaken for a gorgeous gold bracelet. Only a purebred watch connoisseur knows the true value of the Cartier Tank Americaine. 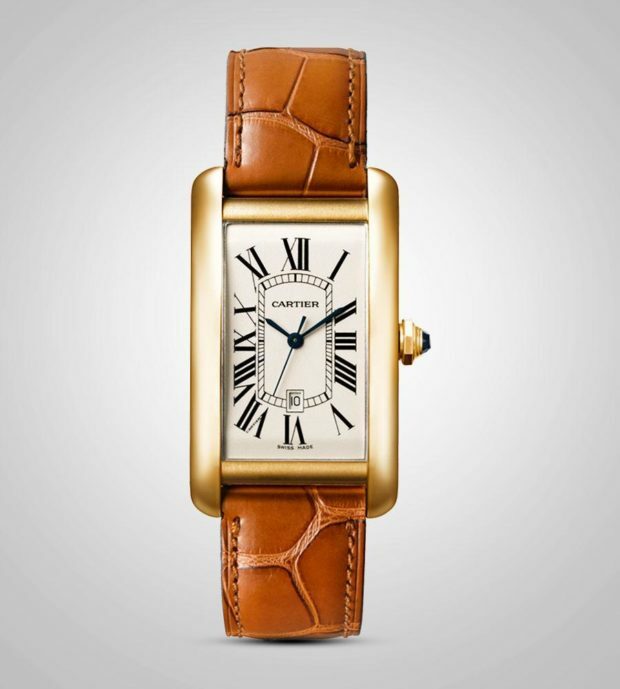 As soon as you lay eyes on the piece, you know it’s the classic and iconic Cartier Tank. As the name suggests, the Americaine belongs to the beloved Tank collection, which was conceived about a 100 years ago. The Americaine comes in a 37mm x 26.6 mm elongated gold case. The curves of the same are elegant and, unlike most watches, emerge from a sleek rectangular frame. The crown is made of 18 K yellow gold, enriched by the prized Cartier blue Sapphire, and the tan alligator leather strap compliments the yellow gold extraordinarily. Undeniably, the Americaine will transport you back to the era of the classics. This vintage beauty is a must in the collection of any watch connoisseur. The prestige that Cartier carries more than justifies any sort of investment in their timepieces. It is not uncommon for a Cartier watch to become a prized heirloom, and change hands through generations without losing its regal essence.